The transformation of Vicarage Field will create a new retail, restaurant and leisure destination for East London. In spring 2017, outline planning permission was granted for us to redevelop the five-acre Vicarage Field shopping centre site, which sits between Barking Station and Barking Central. • A significant economic boost to the town centre – with the potential to add an additional spend of £8-11 million per year from new residents and up to 1,300 new full time jobs. The scheme was developed following an extensive design and pre-submission consultation, which saw over 1,000 local residents attending events including an exhibition and six-week programme of activities run by Barking-based organisation Studio 3. As London’s population is expected to reach 11 million by 2050, many people are looking beyond zones 1 and 2 for a place to call home or to set up shop. New London Architecture (NLA) has published its latest insight study, London’s Towns: Shaping the Polycentric City, which examines the future role for the capital’s outer urban centres and the new developments taking shape. One of the key recommendations borne out of the study is that innovative regeneration of outer London station sites will be vital to deliver the amount of development required to keep up with the capital’s population growth. Barking town centre, located in Zone 4 and excellently connected to the city via the Overground, c2c and Hammersmith and City and District Underground Lines, is unsurprisingly highlighted within the report, as a major growth area with one of the largest population projections in east London. It remains one of the greenest and most affordable areas in London and is attracting considerable investment both from the private and public sectors. Vicarage Field features in the study as an examplar of a transformational town centre development. 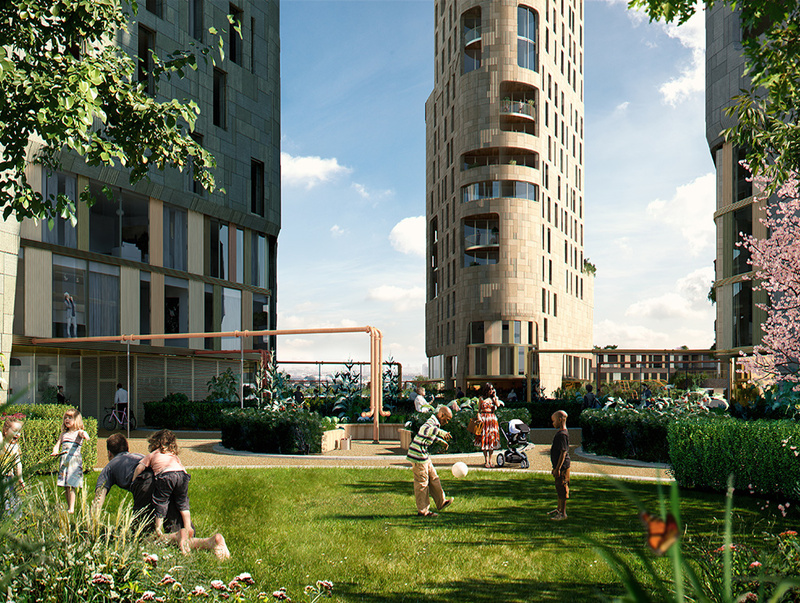 Located adjacent to Barking Station, the site is perfectly positioned to play a significant role in securing the future of the town centre and supporting Barking and Dagenham Council’s vision for ‘London’s Growth Opportunity’. To download the NLA’s report, please click here.